Just 1 More Level First Year Celebration! Wow! It's been a full year since I launched Just1MoreLevel. In my head I was thinking it had to be closing in on this special birthday, but after looking back through my old articles I can tell that...I missed my own site's birthday by four days! I know, I know I should feel ashamed and I do. Can't even remember when I started my site to tell the world my thoughts and ideas on this wonderful industry of gaming we have. With that said though I truly am happy that I've survived this long. A year really does go by fast. So let's have a look back shall we? From site stats to what has changed and what evolved into what over the one year of existence. This site has come along way as well in such a short time. Articles have evolved to encompass more and more topics. I'm very happy with the progression here at Just1MoreLevel. A partnership/associate program was launched with Amazon.com to create a video game focused store right here on the blog. Plus I recently added the VGChartz USA pre-orders chart from the great staff over at VGChartz.com. More expansion is in the works. As you all have noticed there have been references to a show I'm working on and I'm excited to get the pilot done and up here to start building some feedback for it. Plus some other weekly articles are being ironed out so I can have an almost daily stream of content up on the site every week. And I couldn't end this article without mentioning the changes to the layout of the site. It was about six months ago that Just 1 More Level got the Dynamic View face lift that countless Google Network sites have been a part of since those tools launched (still sending in feedback to continue improving them). In all seriousness though, I've enjoyed every bit of my time spent working out the kinks, writing articles over my life, the games I'm playing and look forward to what I'll be bringing to every reader here over the span of another year. 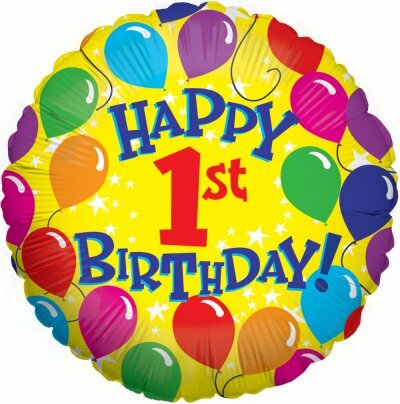 Congrats on making it through the first year! You've got a great site over here. Here's to many more years! Thank you very much. I'm incredibly happy to share my opinions with whoever wants to hear my ramblings.